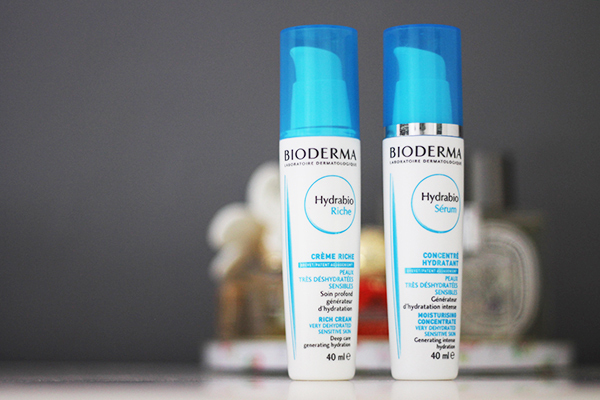 Ever since I tried the Bioderma micellaire waters, I was always curious to see how well their other skincare options performed. Aside from the usual oily skin section I’m used to browsing, I decided to try something a little more hydrating and went with two products from the Hydrabio range. As it’s starting to get pretty cold here in Scotland, I’ve picked up the Hydrabio Rich Moisturising Lotion and the Hydrabio Serum Moisturising Concentrate to enhance the moisturisers performance. Yes ladies and gentlemen, I have found a less expensive dupe of Hydraluron! When I was having a browse on Escentual, I wasn’t originally intending to pick up the Hydrabio Rich Moisturising Lotion, more so the light version. Annoyingly it went out of stock just before purchasing so instead of waiting like a normal person, I decided to give the rich version a go and hope for the best. When it arrived, I was expecting a very heavy lotion which I could only use at night time but it’s actually very wearable during the day and under makeup. Since I’ve been using it, my skin has felt the most hydrated it’s ever been and I’ve actually noticed it’s looking a lot smoother so my skin was definitely needing some hydration. It is intended for very dry/dry skin but I’d urge everyone to give it a go. Also if you do find your moisturiser a bit too heavy, put a little water on your hands before applying and it should dilute the product to apply better. The product in the range I was definitely the most excited to try is the Hydrabio Serum Moisturising Concentrate. It’s a skincare serum you apply before your moisturiser and with the hyaluronic acid ingredient, it basically boots your moisturisers ability to hydrate your skin and holds water closer to your skin. The first product like this was actually Hydraluron but to my understanding, they both work the same and Bioderma’s alternative is slightly cheaper in price. The product itself applies very easily like your average serum with a very light texture and makes your skin feel silky soft. I have heard that some people don’t really like the texture of Hydraluron and find it too sticky so it’s definitely a good alternative to try out. You can use it on it’s own if you like or with moisturiser but I find it most effective when teamed with a moisturiser. I’ve tried it with a few different moisturisers which all worked really well so if you already have a favourite there’s no need to change. I’m really happy with the results of the Hydrabio range. I can definitely see the serum becoming one of my holy grail products I can’t live without and I’ll definitely be repurchasing when it runs out!